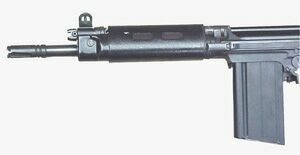 Especially for the discipline Dynamic Service Rifle, the engineers of Armtech built the FAL SAS (special Air Services). 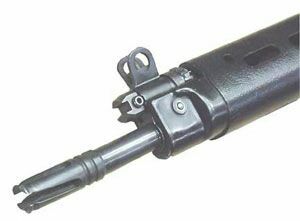 It's a shortened FAL L1A1 in 7.62 x 51 NATO. Barrel lenght is 29 cm effective. For better performance a Vortex flash-hider has been added.